Since the Fuji round the World Endurance Championship (WEC) has been struck by the earth shattering news of the withdrawal with near immediate (end of 2016 season) effect of one of its founding participants, Audi Sport. This has brought about a high degree of concern as to the survival of the Championship. However given that the WEC has only had 3-manufacturers since the return of Porsche in 2014 those concerns are somewhat over-played. Indeed if you believe in everything Le Mans and Endurance you will understand the long game, as well as the well worn phrase, you only need two cars for a motor race. The Audi, and it was Audi not Audi Sport’s, decision was delivered by the Chairman of the Board of Management Rupert Stadler. 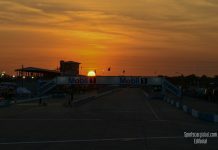 He stressed that it was ‘current burdens on the brand’ (Audi-speak for Diesel-Gate) that called for the strategic decision to focus on future competition applicable to the road.. Diesel is hugely efficient, hence the heavy penalty paid for its use in the WEC through the Equivalence of Technology (EoT) calculation. That efficiency is something that resonates strongly with the future. But in a Volkswagen Audi Group (VAG) sense due to their own (and they are not alone) test bending it is untenable to take it forward. Add to that the broader ecological drive to ‘clean’ energy, diesel bans in major cities and the like, and a move away from diesel was perhaps sadly inevitable. But why should that end such a successful programme, that has taken Audi on the road from being a pasty box on wheels with little character (ignoring the Quattro legacy) to one of the previously most desirable brands of the current millennium? 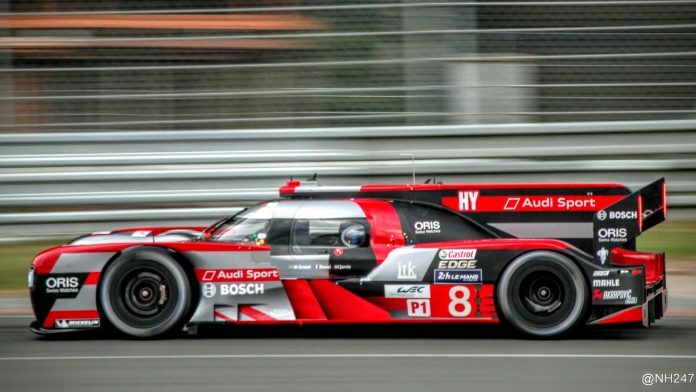 Audi success and dominance has been (not solely but significantly) through applying new, expensive research and development to its race cars, and through a spectacular pace of evolution, moving the game forward, escalating the race through development. If you’re familiar with T.S Eliot, Audi to its competitors are Macavity, “And when you reach the scene of crime Macavity’s not there!” When you aim at beating what you think is their target, they have moved it up and on to new heights. This all brings us to what we have termed The Hybrid Paradox. 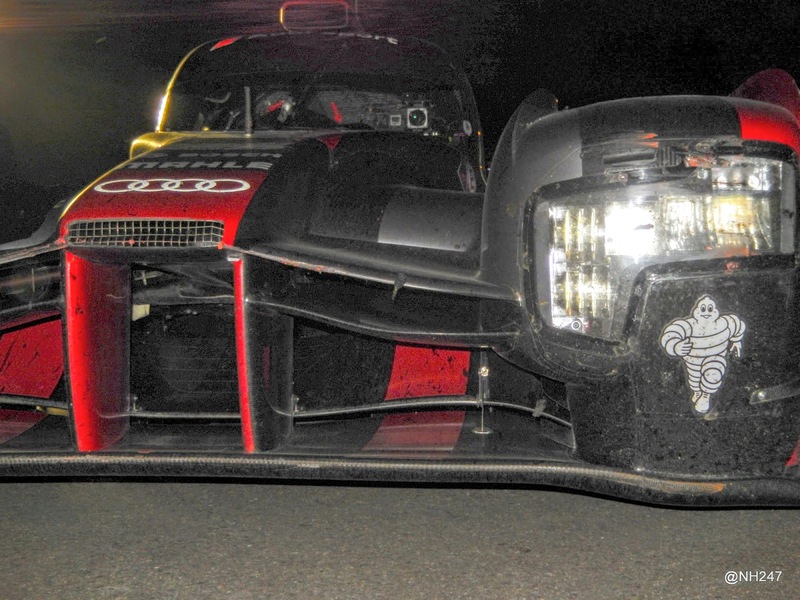 The Hybrid Paradox is both an Audi problem and the Championship Organisers. Whilst ironically Audi are not in a position to fix it, the Automobile Club De L’Ouest (ACO) are. Lets try to explain what is faced using the current situation as an example. Audi have arrived at the ultimate iteration of the R18 (constrained only by its EoT calculation). All manufacturers tried different Hybrid drives and have now coalesced on very similar battery technology. It is phenomenally complex and the control systems in place to harness the power of both the Internal Combustion Engine (ICE) and Hybrid require an army of highly skilled technicians to deliver each and every lap. All of that takes multi-million Euro annual budgets, and to try and change a significant component (the fuel) to the ICE would take many millions more. Traditionally, as we see in GTE and Formula 1, manufacturers can offset a new race-car (or Power Unit) production by passing its former iteration on to customers. In the 80s Porsche not only went Works racing but produced customer versions of the 956s & 962s, and accepted graciously being beaten by customers (race craft, luck or developments) such as Joest Racing at Le Mans. But this is not possible in the Hybrid era due to the very complexity inherent in each car. So the evolutionary pace, the drive for fuel-efficiency and use of new technology (technology of the future road-car) have resulted in astronomic costs which in turn have been spoken about, hands wrung, and finally have come home to roost. The paradox however does not end there, because the Organisers need to resolve this problem and that is not easy either. Existing participants are a clear barrier, they have made investments in good faith, and expect to capitalise on them. In Porsche’s case they have played a clever game, they incurred start-up costs prior to 2014, but since have kept the 919 Hybrid remarkably consistent to its origins. 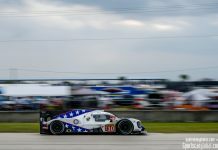 Porsche have also been careful to demonstrate how technology from the racing programme is trickling down to their road car programmes as they move to embedded hybrid technologies. Similarly Toyota-Gazoo Racing whilst introducing the TS050 hybrid have kept a tight rein on their costs and are known to have the smallest budgets of all the manufacturers. Neither would take kindly to a step change in regulations, but for the Championship that very much feels like the right thing to do. Provision of a homologated Hybrid-enabled Power Unit is commissioned that takes the current crop of 2017 LMP2 offerings on into the LMP1-Privateer category revitalising it with Pro driver line-ups that can close down the gap to the manufacturers through tighter EoT regulation of their non-homolgated experimental Power Units. Given the first option is professed to be too expensive to currently happen, and the second option would be great in the short-term but lead the championship down a developmental cutting edge cul-de-sac, the third seems to be most viable and emulates the success the ACO have had with the chassis and engine work in LMP2. We even know 300 employees in Neuburg and Neckarsulm who understand the challenges and welcome them! Hybrid is a must going forward. Accessibility and affordability needs to be resolved in the next set of regulations due for 2018. 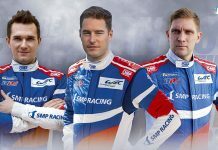 That would appear to be the only approach to keeping the top league of endurance racing relevant and competitive in its own right with other series. Arguably the loss of Audi presents an opportunity, few incumbents resistant to change, a lower cost of entry and greater likelihood of reward… So not all bad. So, Stick, Twist or Double-Down… Which is it to be?